a royal wedding invitation in gold and papaya. 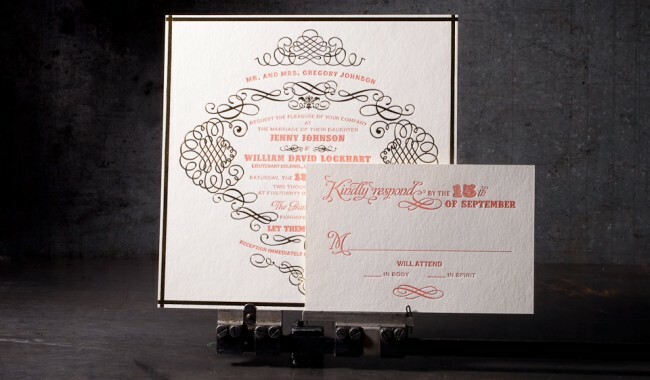 letterpress printing and foil stamping. Smock 2-ply + 1-ply ivory bamboo paper. 1 letterpress ink (papaya 486u) plus gold shine foil. 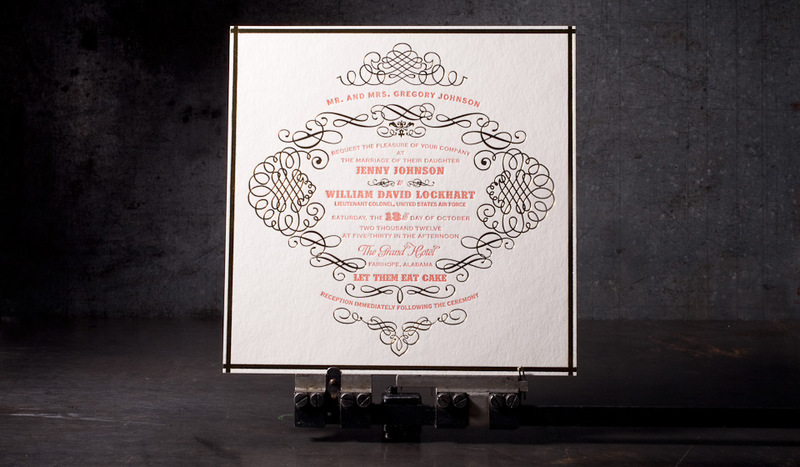 letterpress wedding invitation (7” square), reply card + envelope, outer envelope.